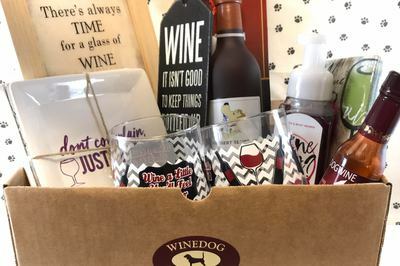 Enter your email address below to receive a notification when WINEDOG starts accepting new sign-ups! 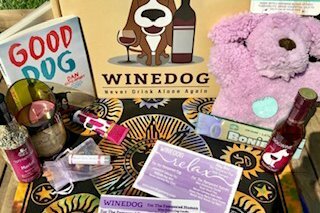 Enter your email address below to receive a notification when WINEDOG is accepting new sign-ups again. 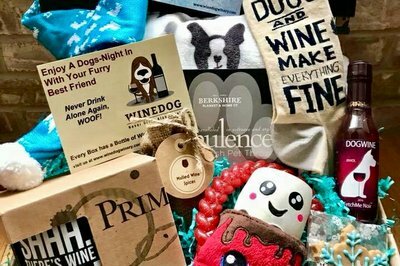 Monthly wine-themed box bursting with seasonal excitement for you and your dog to enjoy together! We typically ship on the 4th of every month. 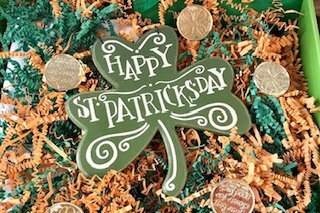 Please order by the last day of the month to receive the next month's seasonally-themed box. 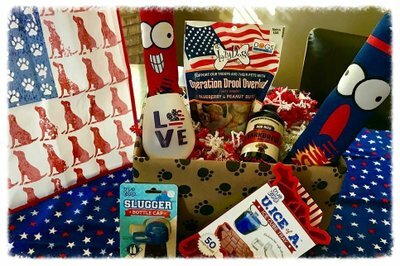 This seasonally-themed monthly box is bursting with exciting fun for you and your dog to enjoy together! 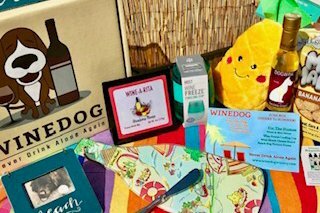 Every WINEDOG Box spoils your canine friend with a doggy-delicious drinkable treat, doggy hors d’oeuvres, and a festive dog toy. For the loving human, we send an additional 4 to 6 eclectic items. 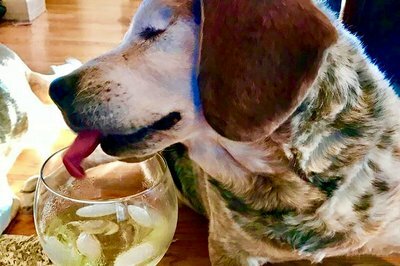 Go on, you and your dog deserve a Dog’s-Night In! 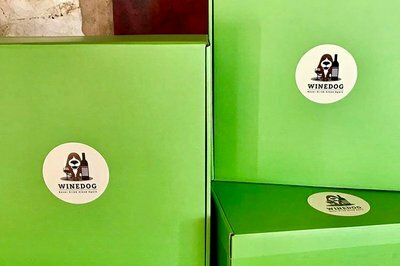 Bottle of WINEDOG in each box, a healthy (non-alcoholic) drinkable treat for your dog! 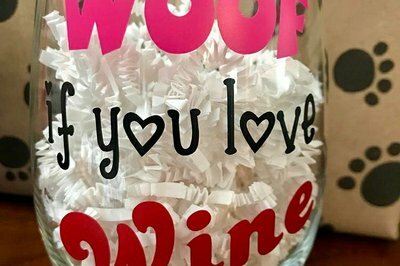 Enjoy your Dogs Night In! Arrived quickly with no issues. 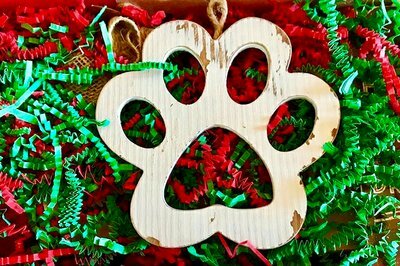 Perfect find for your dog lover friend. 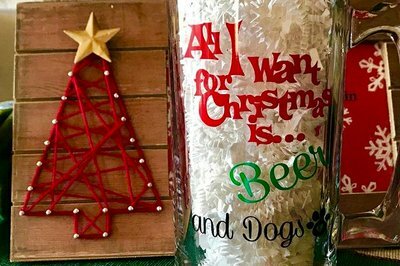 Toys were great and loved by her dog! Great find! 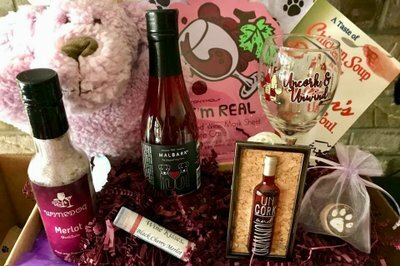 I ordered the crate for my wife as a surprise and she loved it so much I didn't cancel and would give it another month preceding xmas. Nonetheless, the price is a little to steep for the trinkets received. First box arrived yesterday, and I AM SOLD! 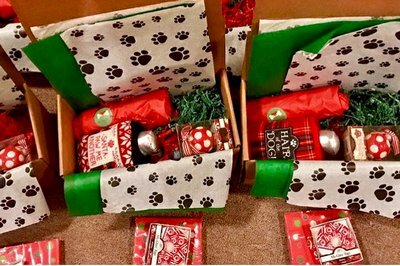 So much thought, time and goodies go into these boxes! I'm not sure how the curator found so many unique and wonderful goodies for this price, AND donates any proceeds to doggos in need, but this curator is my new hero! Worth every penny! We are back for more! 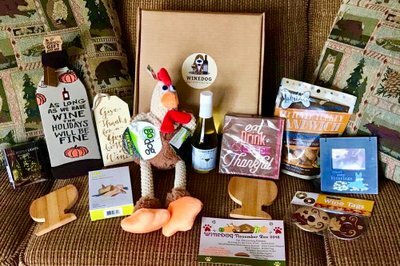 A box that both my dog and I can enjoy :) Every box has had quality dog treats and toys and super cute wine accessories. It is definitely my favorite box subscription! This was such a fun box to get! I love all the detail and how some items are individually wrapped. 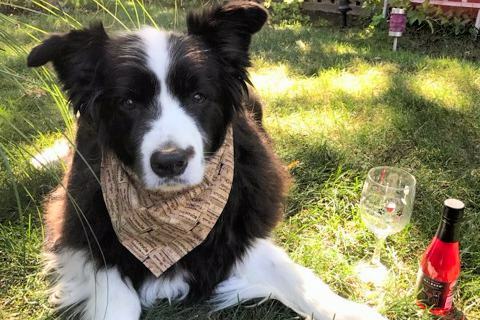 The quality is really high and the dog wine is so much fun, my lab LOVES it! Definitely going to resubscribe! 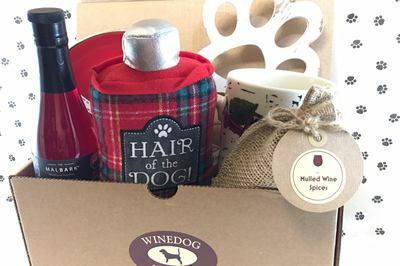 I was so impressed with the Winebox, it’s was packed with so much care and so pretty. All of the items were great quality. Thank you so much!